← Be Selfish – GIVE! Are These 5 Investing Mistakes Eroding Your Returns? It’s true that one of the most efficient ways to build wealth over time is through investing. But are you making mistakes that are eroding your wealth? You might be surprised at how much high fees are costing you. Here in the United States, there are studies that indicate you could be losing hundreds of thousands of dollars over your lifetime due to unnecessarily high fees — and the opportunity cost associated with those fees. Not only do you have less capital invest when you pay high fees, but you also miss out on the money that you could have earned on that amount. While fees are a reality associated with investing, you don’t have to pay fees that are too high. Instead, look for fees investments that are low-cost. There are index funds and ETFs with low expense ratios. Brokerages are becoming increasingly competitive about offering lower transaction fees. Shop around for your investments, just as you would for other items. Another mistake is too-frequent trading. Most “ordinary” investors do best when they take a long-term approach to investing by choosing some high-quality investments and sticking with them. While some re-balancing is needed to maintain a certain asset allocation, trading shouldn’t happen all that often. One of the biggest ways frequent trading causes problems is due to the fees it incurs. The more you trade, the more you’ll pay in fees. On top of that, frequent trading often results in attempts to time the market. This rarely ends well for most people. You run a greater risk of buying high and selling low — the opposite of what you want to do. An inefficient tax plan for your investment accounts is another mistake that can erode your long-term returns. Different investments have different tax qualities. Some investments are inherently tax-efficient, so you don’t want to take up your contribution room in tax-advantaged accounts. Instead, you want to hold investments that are less efficient in tax-advantaged and registered accounts. It also helps to plan ahead for tax consequences during retirement. We don’t have income splitting in the United States (since many couples choose to file jointly), but it is something to think about in Canada. Depending on your situation, income splitting can make sense, and you’ll need to consider that tax option as you think about taking money in retirement, or how you assign your income after selling investments for profit. Think through the immediate and long-term tax consequences associated with your investments. It can make sense to consult with a professional who can help you figure out the best plan when it comes to making sure that you only pay what is required in taxes — and not a penny more. This mostly applies to dividend investing. In some cases, it’s tempting to build an income portfolio based on high-yield dividend stocks. However, it’s important to understand that sometimes a high yield isn’t always a sign of long-term stability. Additionally, you might be blinded by yield into investing in something that isn’t exactly “qualified” in terms of offering you the best tax deal. Fundamentally evaluate your investment choices. While there is a place for high-yield dividend stocks in your portfolio, and they can serve your purposes as part of a well-thought-out plan, you need to make sure that they really are right for your needs. If all you do is look at the yield, and pay attention to nothing else, you could be in for a costly surprise down the road. If you haven’t already started investing, now is the time to get started. The longer you invest, the better your chance of overcoming down markets, and earning more through the power of compound interest. You can start with a small amount and use dollar cost averaging to establish a consistent investment plan. Start now, and you’ll likely be in a better place later. Hi Miranda–I really like where you’re going with this–I once read a post on “Is your 12% Return Less Than you Think?” It basically stated after taxes, trader fees, and of course inflation, you can’t rely on that 6,8,10, or 12% you may think you’re getting compounding over a 30 year period. You’re thoughts are right on target with that! That’s so true. 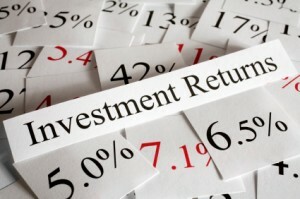 So many of our calculations are based on the “gross” return, without taxes or fees taken out. It’s important to take these costs into account. And we can’t forget inflation, either! Starting early is the most important factor in investing. It counters volatility and a lot of mistakes. For sure! It’s surprising how much better you can do when you start earlier and have time to recover from market events and stupid mistakes. Can’t stress enough about saving early and often. I wish I did more of that. I should have been better about it, too! I waited until my later 20s to get going, when, really, it would have been better to start even earlier. Phew! We are not committing any of those. However, I just did some work with TDDI and their study shows that fees are going up and they are affecting investors, particualrly small investors. Small investors do need to watch it! It helps to look for low-fee investments — as low-fee as possible, anyway.